It is peak flu season, so hearing a co-worker or a child at the grocery store cough is commonplace. When that cough turns into gasping for air—or "whooping"—it might be too late. HealthSmartVaccines recommends that parents, grandparents, babysitters, teachers—anyone who comes into regular contact with young children and babies—get the pertussis vaccination. Pertussis can be prevented with vaccines. Before the immunization was available, about 200,000 children got whooping cough every year. Now, there are an estimated 10,000 to 40,000 diagnoses each year. HealthSmartVaccines offers numerous vaccines and clinics to keep the number of reported cases in Chantilly, Virginia, at a minimum. Babies don’t receive the pertussis vaccine until they are two months old. This makes them highly vulnerable to the disease. They need the adults in their lives to protect them by getting the vaccination at HealthSmartVaccines. About half of infants under the age of one who contract whooping cough need to receive treatment in a hospital. The pertussis vaccination doesn’t last a lifetime. Adults should consider a booster immunization against pertussis. HealthSmartVaccines offers the Tdap vaccine, a single shot that protects against pertussis, diphtheria, and tetanus. Adults won’t know they have whooping cough until it’s too late. Also known as “the 100-day cough,” whooping cough starts like the common cold, but the symptoms worsen after a few weeks. By then, a person with pertussis has probably infected anyone in the house who hasn’t received the vaccination. 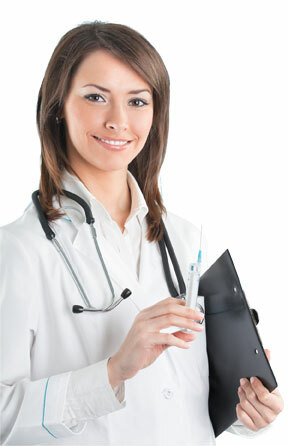 HealthSmartVaccines can give immunizations to anyone over the age of 18.